Coconut oil is versatile oil that is very useful in so many ways than one. This oil is derived from the lowly coconut fruit which is native to almost all coastal regions of the world. Coconut oil contains amazing natural properties that can help nourish and moisturize skin and hair. This is two of the main reasons why coconut oil is used in most shampoos, conditioners and hair care products. Let’s see reasons how coconut oil is good for your skin and hair. 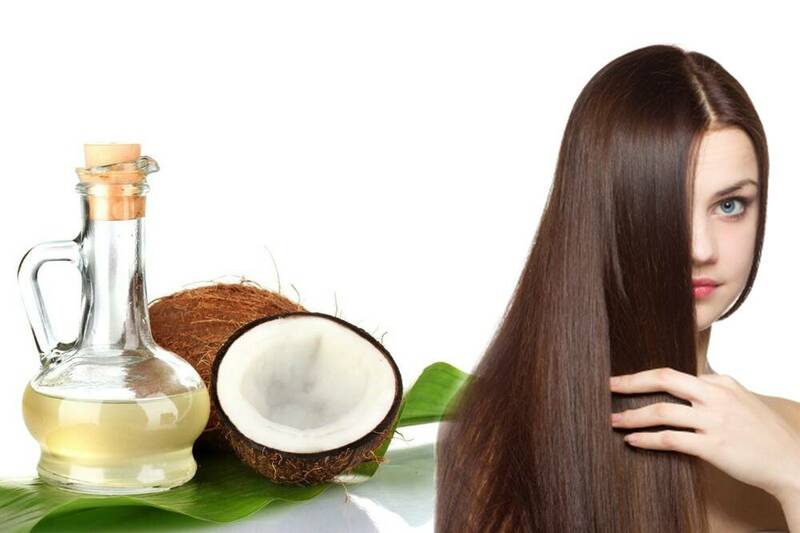 Coconut oil and your hair Coconut oil has long been regarded as one of the best hair conditioning natural health products in the natural world. Many people worldwide use coconut oil as their sole hair conditioning product as it is relatively cheap and gives remarkable results. The benefits of coconut oil for your hair are numerous. Coconut oil helps keep your hair fully moisturised, it promotes full growth and creates strong hair whilst keeping the scalp free from flakes. Its main benefit comes from increasing the protein retention in your hair – allowing for fuller and stronger growth. Often people proscribe coconut oil as a remedy for hair loss – or at least to slow the onset of hairless and we can soon see why. Lauric acid is found primarily in the oil produced from coconuts. One of the primary causes of hair loss and recession of the hair line is the action of microbes on the scalp and at the base of the follicles. Lauric acid acts as an anti-microbial oil that prevents the build-up of damaging microbes thus preventing hair loss and stimulating fresh strong growth. This means that not only is coconut oil great for your hair but it can also prevent the loss of hair if used regularly. Capric acid Virgin coconut oil contains a high yield of not only Lauric acid but Capric acid as well. Capric acid is another anti-microbe that works in a similar way to Lauric acid. It tackles microbes at the source preventing further spread and loss of hair whilst stimulating new hair growth. Coconut oil has a large number of fantastic benefits for your skin as well. The first as we have already seen is the great benefit of Vitamin E. Vitamin E keeps your skin healthy, spot free and protects against skin cancer. Vitamin E in coconut oil acts as an antioxidant – meaning that it protects skin cells from UV light, pollution and the negative effects of smoke and other “free radicals”. The most notable of these is of course the prevention of skin cancer making coconut oil one of the most beneficial forms of sun screen available. Vitamin E also helps reduce the appearance of stretch marks and prevents the appearance of age spots by rejuvenating the skin cells over your body. Coconut oil can help you get rid of all sorts of marks, including burn marks, marks left from angry zits, marks left from injuries etc. While it may not completely erase stretch marks, prolonged usage can help lighten them significantly. This wonder oil can make your best anti aging cream go for a run. Coconut oil severely reduces the wrinkles and appearance of fine lines. It is a natural moisturiser and works great for delaying signs of aging. People with oily skin should avoid direct application. We offensively suffer from chapped heels. To remedy this, apply some coconut oil to your heels; it helps nourishes the skin, repairs the damage and helps your heels stay silky soft.